Steven Douglas Wilkerson, 66, of Fulton went to his Heavenly home on Saturday, January 26, 2019 at University Hospital. He was born in Sikeston, Missouri on December 19, 1952, the son of the late Clyde Wilkerson and the late Treveal (Fowler) Wilkerson. Twenty six years ago, Steve was united in marriage to Jo Ann (Klusman) Wilkerson who survives his passing. Steve earned his living working in maintenance at several companies. He was passionate about the outdoors and enjoyed hunting, fishing, and spending time at his cabin. He could often be found watching old westerns and the St. Louis Cardinals or sitting on his front porch. Steve loved spending time with his grandchildren. 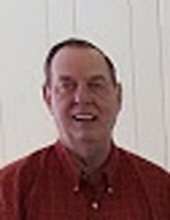 Those remaining to mourn his passing include his wife, Jo Ann of Fulton; daughter, Brittney Vermillion (Jeremy) of Excelsior Springs; son, Jesse Woolfolk (Hillary) of Mexico; brothers, Carmen Wilkerson (Sharon), Doyle Wilkerson (Sandy) and Jerry Wilkerson, all of Auxvasse; sisters, Hazel Martin of O’Fallon, Mabel Selph of Dardenne, and Eve Garner of Mexico; grandchildren, Chevelle, Charlotte and Sophia Vermillion, and Lillian and Hailey Woolfolk; and numerous nieces and nephews. In addition to his parents, he was preceded in death by brothers, Thomas, Norman, Jeff, and Kermit; and sisters, Patricia Mischnick, Wanda Garner, Norma Arehart, and Jobina Bridges. A memorial service will be held at 2:00 p.m. on Saturday, February 9, 2019 at Maupin Funeral Home in Fulton with Pastor Mark Kummer officiating. Friends will be received from 1:00 p.m. until the time of service at the funeral home. Memorial donations are suggested to American Cancer Society or St. Jude Children’s Hospital, c/o Maupin Funeral Home, 301 Douglas Boulevard, Fulton, MO 65251. To send flowers or a remembrance gift to the family of Steven Douglas Wilkerson, please visit our Tribute Store. "Email Address" would like to share the life celebration of Steven Douglas Wilkerson. Click on the "link" to go to share a favorite memory or leave a condolence message for the family.